We woke up around 10am and both of us had a little bit of a Belgian beer hangover No worries though, nothing a Belgian espresso couldn’t cure. 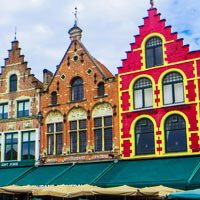 Unfortunately, Martin had to work today so he was unable to join us for our day trip to Bruges but we made plans to meet up later in the afternoon in Brussels for dinner. On the way to Bruges we saw some spectacular views that seemed to be straight out of a painting. Belgium is truly one of Europe’s best-kept secrets. 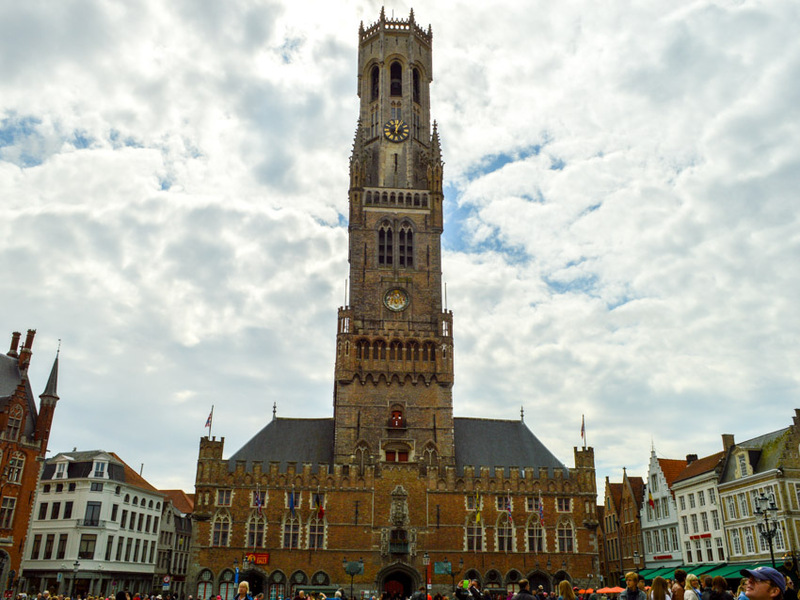 We arrived in Bruges just before noon and we took a little walking tour of the city. 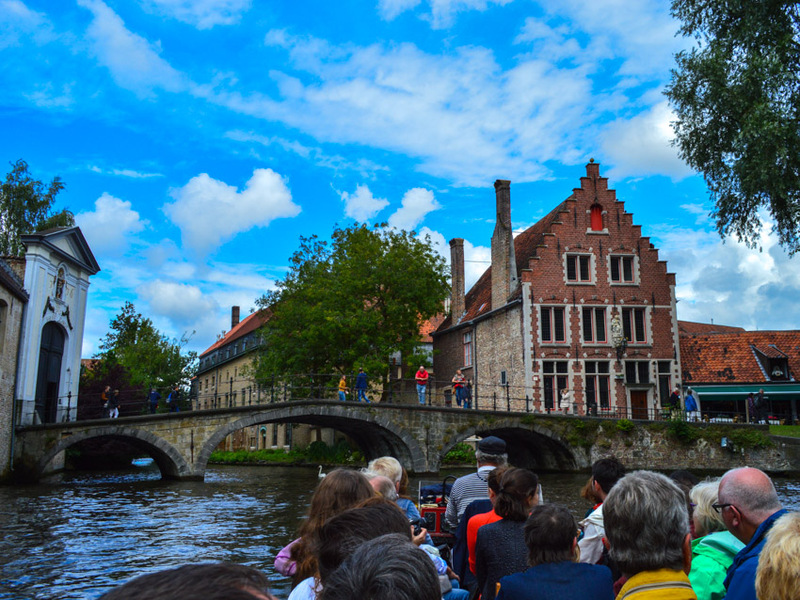 The architecture is nothing short of spectacular with beautiful canals that flow throughout the entire city. After lunch and a Little power nap in the nice fat boy, the weather changed for foggy and rainy to sunny. 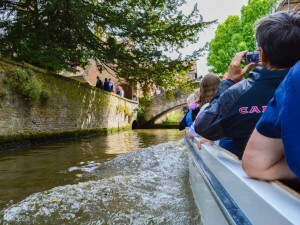 So the weather was perfect now to do the canal Boot Tour, which was 8€ per Person and Takes 20-30 minutes. About 25 People in one boot and the Captain tells Stories and gives informations in English. 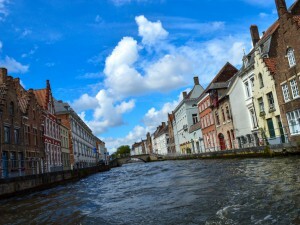 It was a very nice boot Tour and Bruges is a beautiful city. On the boat we saw the Tower of the city. With Only 350 stairs to the top it is the half of the stairs of the Ulmer Münster, which we climbed a few weeks ago, so we wanted to do that. We arrived in the queue at 3.45 and somebody told us they let people in till 16.15 pm because the tower closes at 5pm. We crossed our fingers to get in but unfortunately the system closes itself at exactly 4.15 and there were to many people who can only go in when others come out and only 70 People can be in the tower at the same time. So we went back across the market place, took some more photos because the sun was in a perfect spot and the light very good. On our way to Bruges we drove to the city Gent, which is about half way.